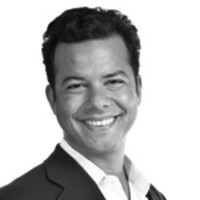 The chains may be closing and digital books might be more portable, but John Avlon sings the praises of the independent bookstore and says we need them to survive. In September, the final Borders stores closed, adding to the funeral pyre of big-box stores content providers that went before them, like Tower Records or Virgin Megastores. Some people believe it is only a matter of time until all bookstores go the way of the horse and buggy. But all is not lost—at least not yet. After all, we vote with our wallets. And if you care about the unique character of your community, if you believe in rewarding the rugged independence of small businesses, then your local independent bookstore deserves your support, now more than ever. This is an admittedly counter-cultural effort—but that is part of its appeal and sense of purpose. This can be true even at a big chain bookstore. The sadness of the locals I saw at the closing of a Borders in Falls Church, Virginia, was palpable. They felt abandoned, lost. The mammoth store had hosted book clubs and regular readings that punctuated the days in that bedroom community. Barnes & Noble will presumably soldier on and anchor some communities in a suburban sales landscape otherwise blandly dominated by clothes and furniture. The rise of e-books is, of course, an existential challenge to booksellers of all sizes. And I’m not immune to its charms—I love the ease of carrying dozens of books on my iPad when I travel. But I also love the look and feel of a book-lined room. I like to feel the heft of a book when I take it off a shelf, see its title and spine lined up along others, signifying different stages of my life, with different opinions and experiences lying within. There is a satisfaction in that balance. The digital world shrinks distance, allowing for instant gratification. It also is cold and does not exist in the physical world. There is something comforting about the well-intentioned chaos of a real bookstore, the warmth that comes with human dimensions. And when we lose a sense of that value we start to lose a sense of ourselves. Think of the effort to support independent bookstores as being akin to the slow food movement. It isn’t faster or more efficient. But it is better. It offers time to appreciate instead of just consume. Great independent bookstores are draws and destinations in their own right. They help define their town to the outside world. For example, Square Books in Oxford, Mississippi is justly beloved by readers and writers alike, and no trip to the state—or road trip from Memphis to New Orleans—is complete without a visit. Reading in a chair on their second floor in the Faulkner corner (his home is around the corner)—or outside on the balcony—as the sun sets is a rare pleasure. On a drive out West, a stopoff at Ketchum, Idaho’s Chapter One bookstore is a must, with its historic stone storefront and obligatory Hemingway shelf. Aspen’s classic Explore Booksellers offers a converted house on East Main Street to ramble through, discovering old prints (I bought an 1898 color print of bears making pancakes for breakfast), and nooks with overstuffed chairs for extended browsing. The legendary Tattered Cover in Denver and Powell’s in Portland are justly iconic, places where a person can get happily lost for hours. Whenever I traveled to San Francisco as a teenager, I’d stop by Lawrence Ferlinghetti’s City Lights bookstore, trying to catch a contact high from the Beat Generation that once gathered there, alongside a street now named for Jack Kerouac. Book Passage, in the Ferry Terminal as well as its original store up in Corte Madera, is also an oasis. In my hometown of New York City, the Strand is legendary for its miles of books—and while the downtown store sadly closed two years ago (to be replaced by a dollar discount store—be careful what you wish for, landlords) the Union Square location continues to thrive. But I love the lesser-known iconic stores strewn about town—like Three Lives, a platonic ideal of a bookstore nestled in the heart of Greenwich Village or The Corner Bookstore, which reminds the Upper East Side that it has a vibrant heart and mind hiding behind doormen. But beloved as all these might be, you don’t need a crystal ball to see that independent bookstores are going to have to at least adjust their business model to remain relevant in the face of new technology. The best model I’ve seen has been innovated by Mitchell Kaplan of Books & Books in Miami. His stores are now built around cafes and outdoor courtyards, where friends meet for coffee in the morning or a drink after work. Local musicians play and nationally known authors read, as free concerts open to the public. It is an expanded version of the old coffeehouse model—beer and wine is served along with good food—and buying a book becomes a backdrop, an essential organic part of the overall experience. I hope that more independent bookstores look at Mitchell’s model. Here’s an additional plan of action on the part of us consumers. Buy the books on your Christmas lists through your local independent bookstore rather than just delegating the duty to someone anonymous online. The hassle factor may be mildly increased, but consider what you are preserving. It question of what kind of city or town you’d like to live in—because the cookie-cutter approach to consumerism kills downtowns, making whole stretches of cities indistinguishable from each other. As a tool to make that a bit easier, an independent collective approach is emerging from these stores, in the form of the website indiebound.org—which allows a book buyer to be directed to the closest independent bookstore. This is a fight in real time. Supporting local independent bookstores reflects a determination to preserve what’s essential before it gets lost forever. What follows is a gallery of some of the great and iconic independent bookstores across the United States. Seek them out. Support and appreciate them. Rally round their flag—because they make your city or town a better place to live by keeping the soul of the great good place alive.